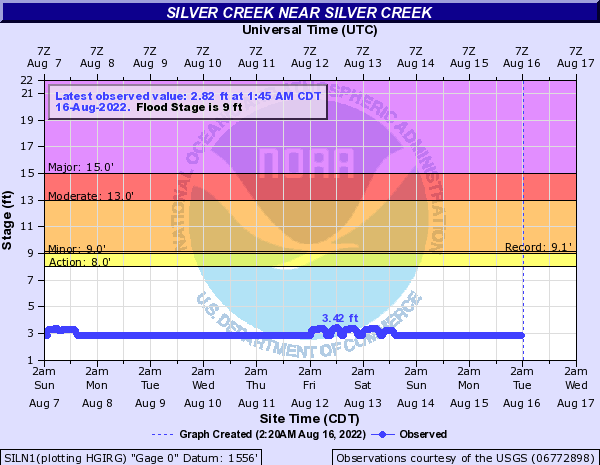 USGS Current Conditions for USGS 06772898 Silver Creek, at Mile 4 near Silver Creek, Nebr. USGS 06772898 Silver Creek, at Mile 4 near Silver Creek, Nebr. This station managed by the lnc.